Templates and customization: While you can upload your own designs to many sites, we don’t all have that artistic eye—which is why all our recommendations feature on-site templates and customizations. Usability and ease: With so many templates at your fingertips it can get overwhelming, which is why we selected services that are easy to navigate with user-friendly interfaces. 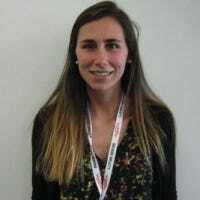 Quality: If you wanted to deal with smudged ink and crooked pictures you’d wrestle with your ink jet printer at home. When you’re farming out the print job you want crisp prints and good quality control. Labels, Postage, and Mailing: Whether you want to order and send the cards directly from the website, or you want the service to print send and return addresses on the envelopes so you can send them without the hassle of doing monotonous labeling yourself, we’ve chosen different options to suit your need. Pricing: Premium looking cards don’t have to cost premium prices—we’ve selected great values across the board so you can spend less on cards and more on holiday fun. Speaking of pricing, it’s not only the best time of year to send some sharp looking photo cards to friends and family, it’s the best time of year to score tons of deals in the process. Regardless of which of our recommendations you choose, we strongly suggest signing up for their emails and checking their website for coupon codes. Between Thanksgiving and Christmas practically every printer under the sun is running one sale after another. If one service isn’t running a 40% off (or better) sale, just hop right along and check the next one out or wait a day to see what pops up. Keep that in mind while perusing the prices below—with coupons you can expect to pay around half the list price. 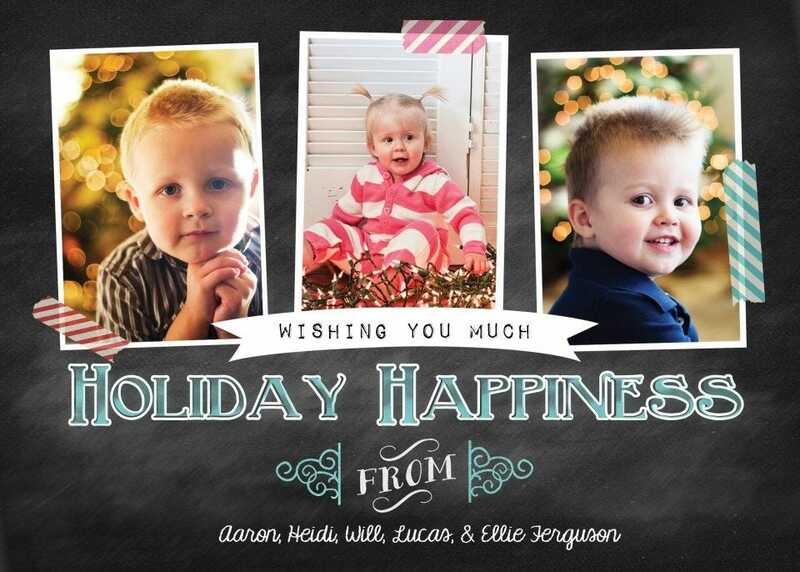 Shutterfly is one of the biggest names in holiday photo card industry for a reason. This service can do it all—not only does it have hundreds of templates and designs to choose from, they’re all customizable. Although they’re not the cheapest card printer around, they’re our top pick for all around value. You have the option to choose regular or foil stamped cards; you also have different edge trim options as well, like rounded, scalloped, bracketed, or ticketed. You can further customize both the front and back text of every card, along with what color or pattern you want on the back of the card. Envelopes are included with the cards, but you can spend $0.50 more per card for personalized patterns, text, and colors on the inside and outside of your envelopes. They can also print a return and recipient address for $0.39 each, or you can spend $0.99 to have them send your cards to family and friends (by simply uploading your mailing list to Shutterfly as either a spreadsheet or email contact list). Conveniently, Shutterfly provides a template so the process is pretty painless. An extra buck a card might seem pricey, but considering postage alone is $0.49 per card if you slap the stamp on yourself, suddenly farming out the labeling and postage seems a lot more reasonable. If you order 100 standard 5” x 7” Christmas cards Shutterfly can send the cards for you for $369; if you want to send them out yourself, the cost would be $229 (without shipping). Shipped directly from the site you’ll end up paying around between $3-4, but for the premium you eliminate the hassle of having to put your cards in envelopes, address them, place stamps on them, and mail the cards yourself. You can check out Shutterfly’s card selection here. Browsing through hundreds and hundreds of templates can be a bit overwhelming, and this is where Snapfish’s user interface shines. Snapfish has a convenient filtering and search option to find the card you want. You can filter based on card type and size, how many photos you want per card, photo or product orientations, as well as newest, oldest, and best-selling cards. The preview for each design shows you the color options, whether it’s foil-stamped, how many cards come in a set, the sizes, and the prices. Not only does the website allow you to choose your card design quickly and easily, Snapfish has the option for you to pick up your cards the same day at places like CVS, Walgreens, and Wal-Mart. Since it would be printed at the place you decide to pick up from, the quality of your photos depends on the location at which you pick them up (and excludes options like foil stamping)—but the lower cost and convenience makes it a great option if you can’t wait on shipping. If you’re picking up from Walgreens, for example, the price for 100 standard 5” x 7” Christmas cards on glossy paper with blank envelopes is $84.95, but to have the cards shipped to you with a return address on the envelope, the cost is $136.88 including shipping. And for those who are Amazon Prime members, Amazon Prints uses Snapfish for their printing services; 100 cards on Amazon Prints is only $75, so if you have Amazon Prime (and don’t need same day pickup) it’s worth checking out Amazon Prints. You can check out Snapfish’s card selection here. 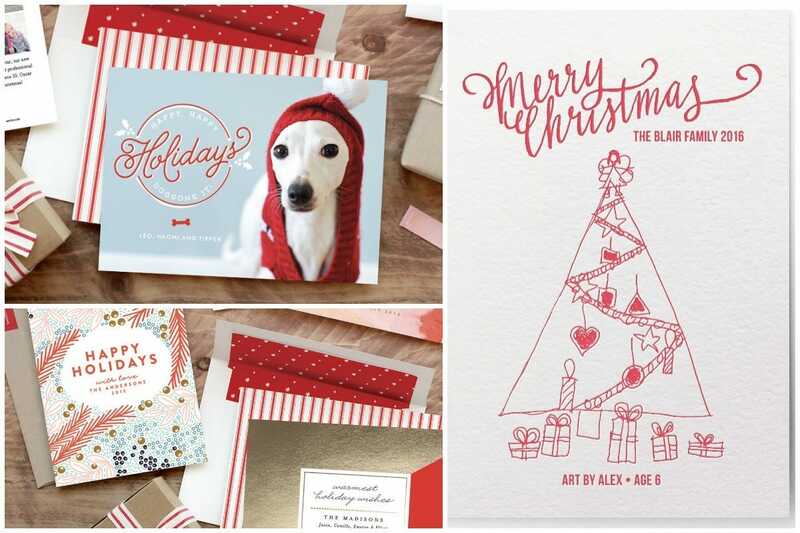 If holiday cards are a big deal in your house and you’re not afraid to splash a little cash, Minted offers beautiful cards with letterpress foil stamping that give your cards the same luxurious look and feel as premium wedding invitations. With over 1,000 customizable templates sorted into easy to navigate categories, it’s simple to find your perfect card. While Minted doesn’t mail the cards for you, you can get return and send addresses printed on the envelopes to save yourself a little time (which you can spend writing personal notes on your oh-so-luxurious cards). 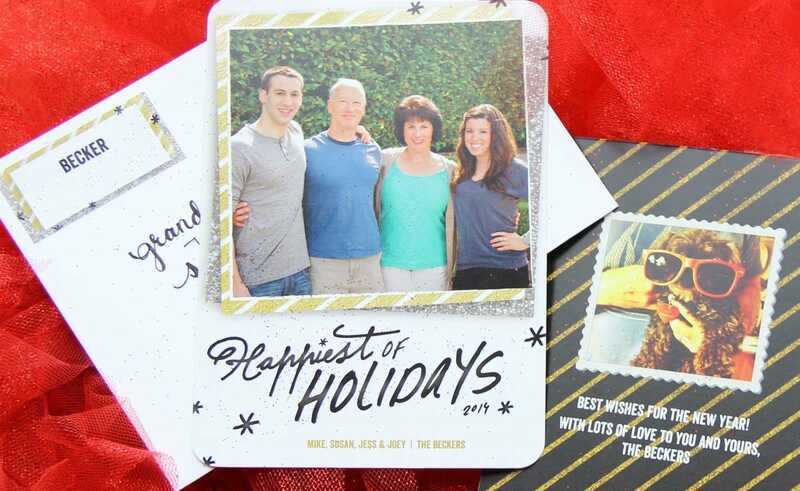 To add to the custom feel, Minted also offers stamps customized with your own photo and text. Purchasing 100 foil-pressed standard 5” x 7” Christmas cards with envelopes costs $199 (shipping not included). While they won’t, as we mentioned above, mail the cards for you they will label your envelopes free of additional charges. You can check out Minted’s card selection here. Images courtesy of Shutterfly, Snapfish, and Minted. Body pillows are great for a number of reasons—from easing back pain to simply making you feel supported and comfortable in bed. We’ve got the best body pillows for you here.